This is just a general question for the map making committee, but I'm posting it here in case others would want to get into the action. 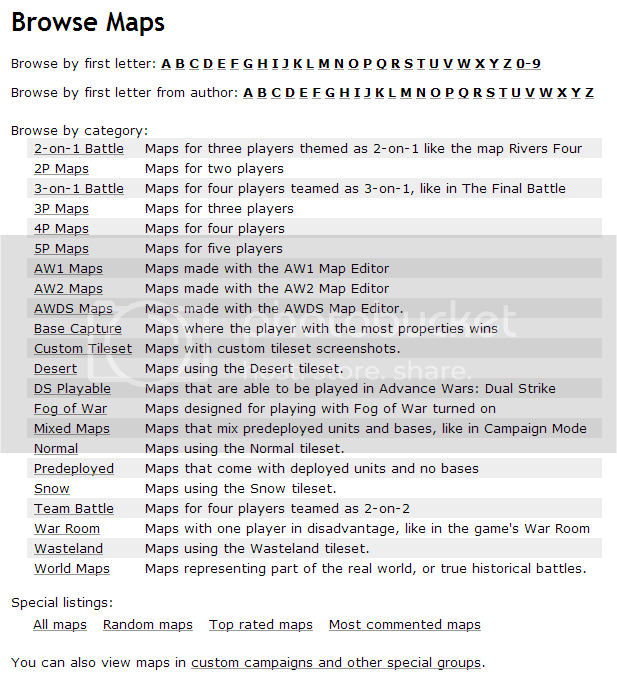 What type of categories and selection would you suggest for making maps easier to sort through? 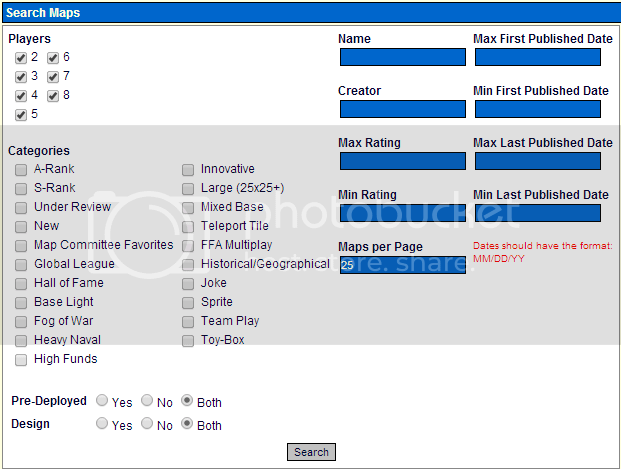 I think choosing the right amount of categories and "tags" would go a long way into organizing the huge number of maps that we'll have in the database. Another idea I've heard was to let random maps appear from the list. We can also have someone officially rate the maps for balance competitively. There is plenty that we can do to make the process easier, but the earlier that I can get ideas the better.